The powerful depth and darkness that lingers within The Kills' creations are proven to come from a genuinely contemplative and carefully considered origination, as is shown in their short film: "Blood Pressures". The eleven minute compilation of clips string together captivating looks into their writing sessions, highlighting the fresh beauty of Alison Mosshart's vocals and the particular inflections of guitar, demonstrating the "romantic and melancholy" expression that Jamie Hince proclaims for their sound. In addition to these intimate peeks at their song writing process, the film also features some picturesque aesthetics, including Mosshart walking down an ocean-entrapped jeti at sunset. Some of the intricacies of their songwriting experiences are explained as Mosshart reveals the painstaking measures that the duo must hurdle through to find their crisp magic, after "trying to write a part thats twenty seconds long for fifteen hours and nothing is happening". But the achievements that result from this process explore a uniquely intriguing sound, which Hince describes as "pretty brutal, pretty unforgiving", but is fully developed within "a contrast to that in the strong melodies". Though only eleven minutes, the film portrays a rather encompassing picture of the brisk realities as well as the touching experiences and accomplishments of this pair's musical career and innate talent. 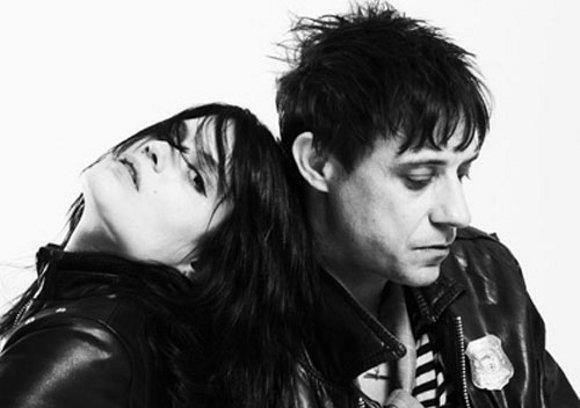 Take a look at The Kills' short film Blood Pressures below.